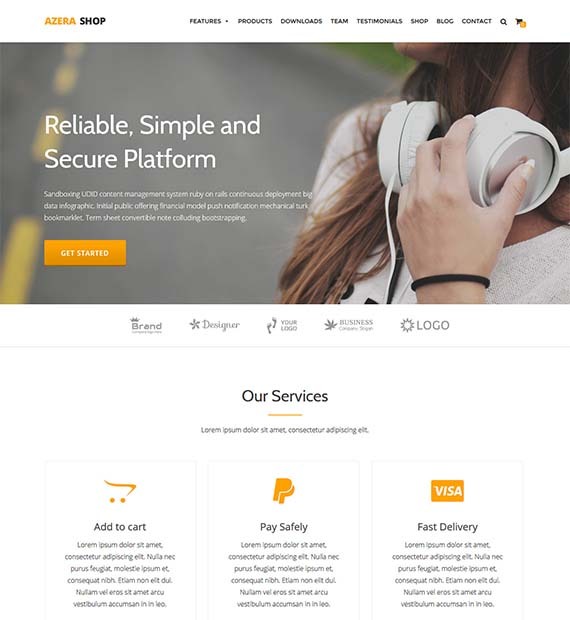 An elegant and clean eCommerce based WordPress theme, Azera shop is the perfect choice for you if you are looking for a theme to use for your online store site. The theme can be used for any type of online store whether you wish to sell cosmetics, clothing, jewelry, as well as sports shop and, is fully responsive. Adding to the appeal of the site, the simple and flat design based in Bootstrap template works really well with any type of eCommerce site.